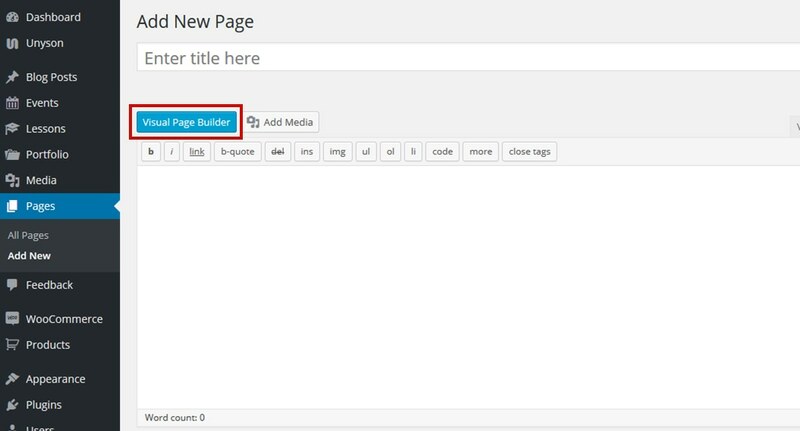 The Visual Page Builder Novice Novice tutorials require no prior knowledge of any specific web programming language. 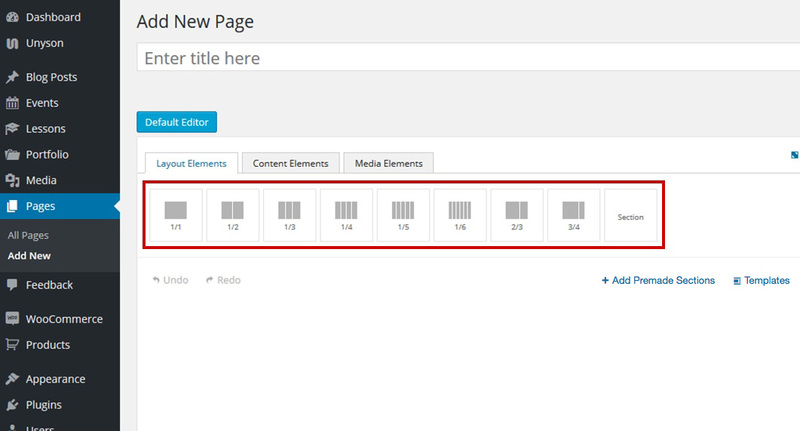 Go to Pages > Add New in order to add a new page. 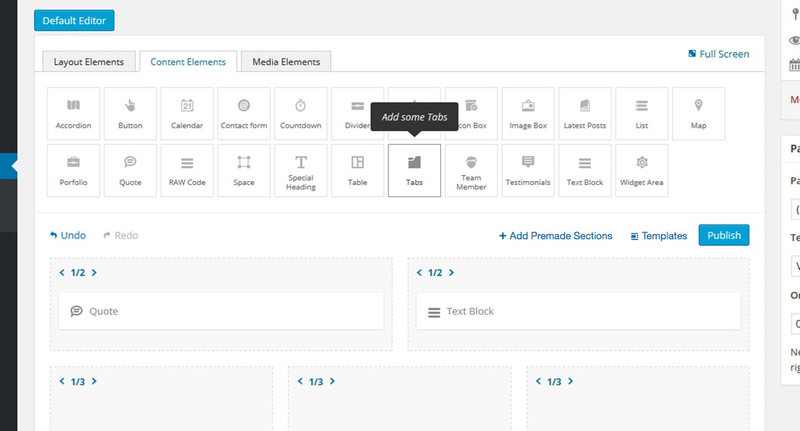 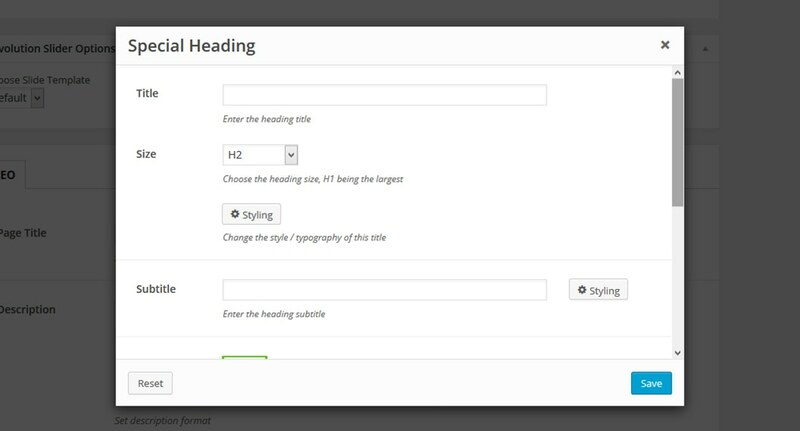 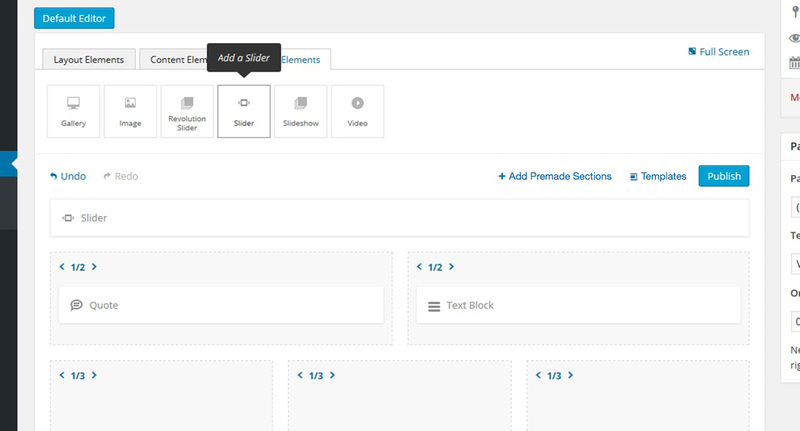 Press the Visual Page Editor button in order to bring the visual page builder up. 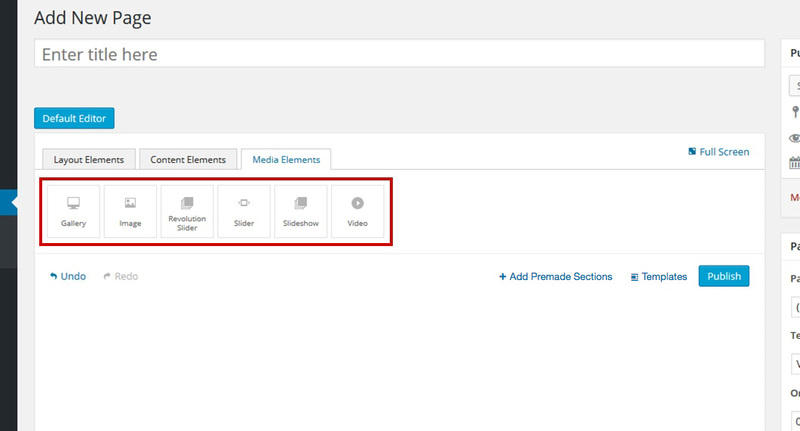 Content Elements - composed of shortcodes used to create the page content. 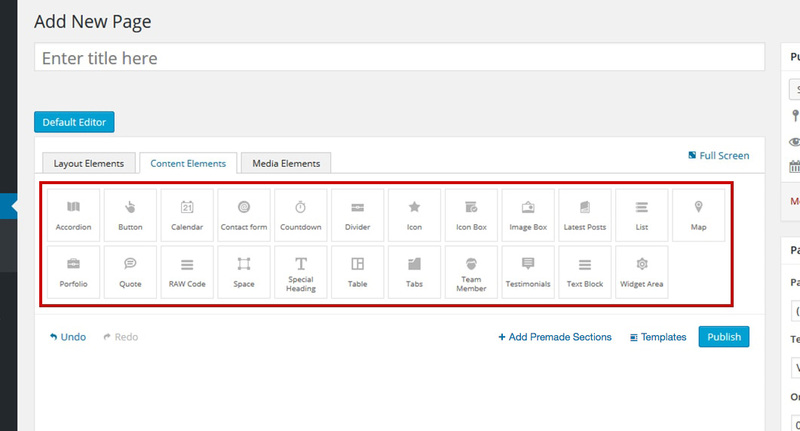 You'll find all you need here, from buttons, quotes and tables to contact forms, testimonials and tabs. 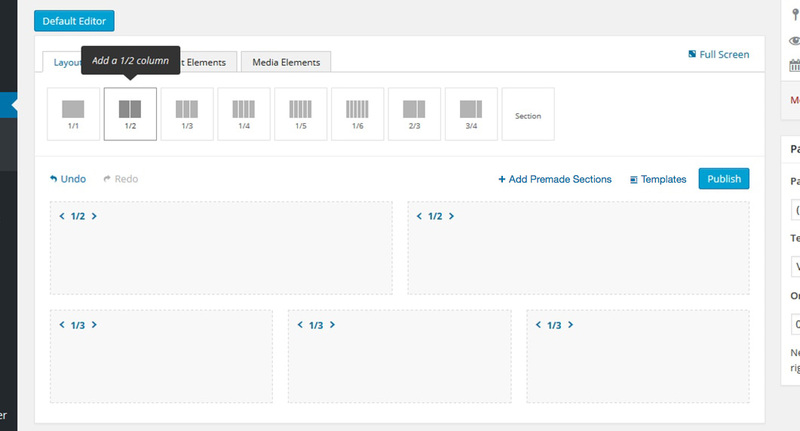 Media Elements - composed of shortcodes used to add media to your page: galleries, images, sliders, slideshows and video. 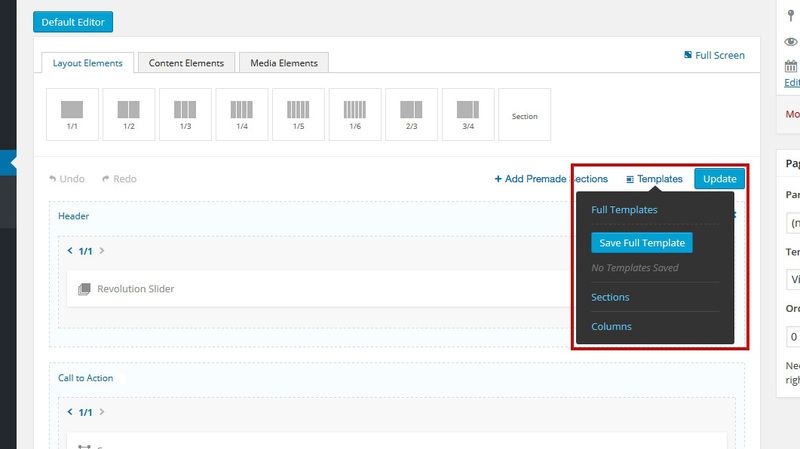 More about adding premade sections can be found in this article. 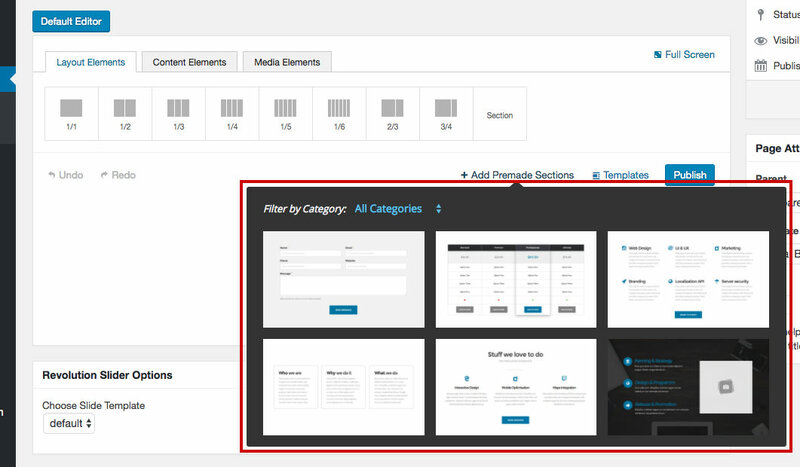 More about saving and loading templates can be found in this article.